Thought I would share this image from a few years ago when we did not feel much like decorating, as we dealt with Joy’s breast cancer diagnosis. 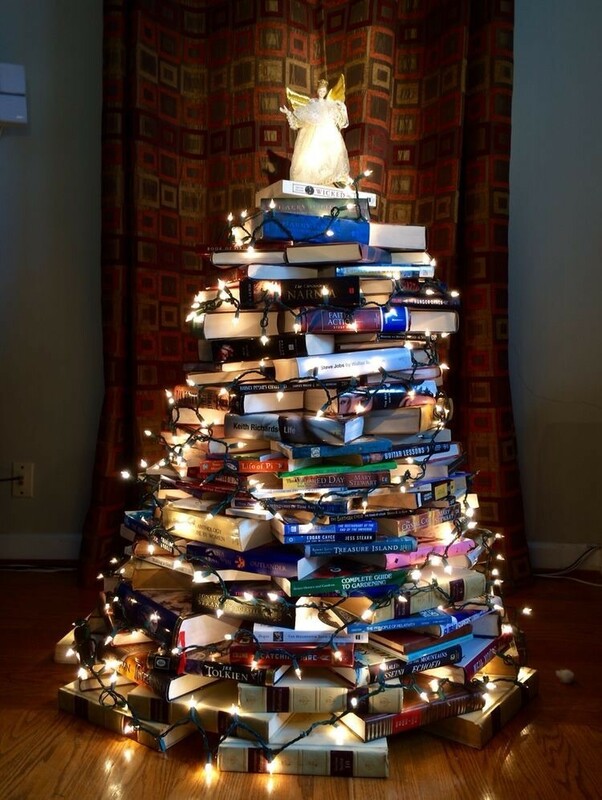 This book tree represented the light of the universe, a love of reading, and the comfort of words passed down from time immemorial. Last month we received an all clear from the Doctor after 5 years cancer free. We have a lot to be grateful for. Sometimes it is good to look back and see how things seem different in hindsight. Wishing you a happy and prosperous holiday as we make this journey together through the cosmos. Happy Murphy-Cam!